Created 4 Creativity : Whimsie Doodles January Challenge Time! Whimsie Doodles January Challenge Time! Guess what's happening today!! Yup, it's time for a brand new challenge at Whimsie Doodles! Our challenge theme is LOVE IS IN THE AIR. And of course it is because it's time to get to work on all those fun Valentine projects. 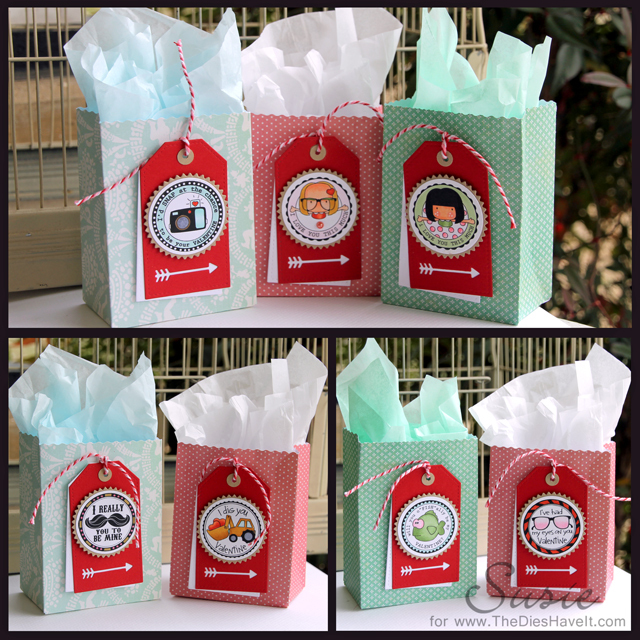 I used the Valentine Messages stamp set to make my tag embellishments. You can see this set and so many more wonderful Valentine digi stamps if you click right here. These little images were really fun to color and adding them to tags was a cinch. Easy Peasy! Now it's YOUR turn to get creative. Click here for all the info on submitting your beautiful creation for this month's challenge. You have until February 13th to submit....but why not get started today? See all of the Doodlelicious Diva's projects on the Whimsie Doodle blog today. You will be inspired for sure!! I'll be back tomorrow and I hope to see you then.